Hi everyone! 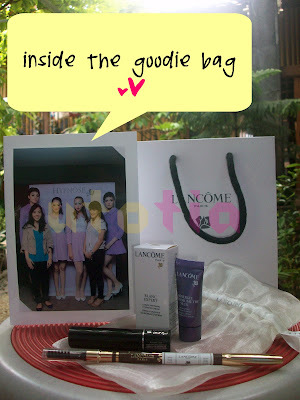 Last Saturday I attended an event held by Lancome Indonesia. 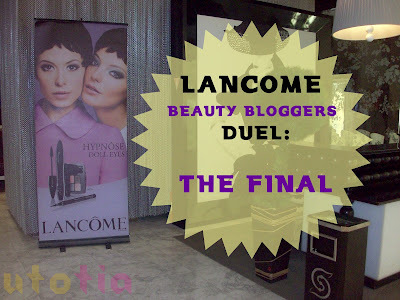 It's the final of Lancome Beauty Bloggers Duel! It's between Ci Carnellin and Marsha! The place was in Seibu Grand Indonesia's Premium Lounge. 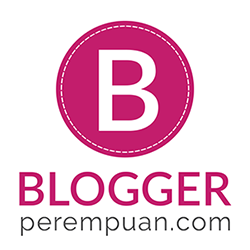 I met so many other beauty bloggers there; Melissa, Beatrix, Nadia, Fweegy, Jesslyn, Via, Meylisa, Nita, Yessy, and many more! Ah, I also met Roma from Romacchiato. She is hilarious! The beauty duel started immediately after the models were entering the lounge. The models were already prepared with basic make-up before the duel started (I guess it has something to do with the time period). 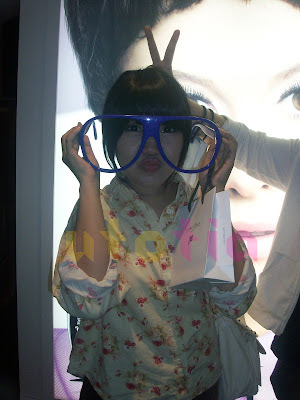 The theme was still the same, to create DOLLY LOOK using Hypnose Doll Eyes Mascara. As it was still in Halloween rave, so they adapted the them to the Halloween theme. So, Ci Carnellin decided to create a whimsical, fairy look for this duel. This look will be suitable for mostly everyone even for attending children-friendly party. I like this look anyway, it somehow reminds me of a cute fairy in the cartoon TV show. It is playful, too. On the other side, Marsha decided to do the look of famous late France queen; Marie Antoinette. Whoa, this is really creative. So, the look will be pale and she added some decoration to the face of the model using, Cellphone stickers! Wow, I never thought about this before, surely she's so creative. She put it using fake eye lashes glue, FYI. During the process, Lancome Indonesia was so kind to entertain us with the small quiz session. And yes, I won one of the prize; Lancome Le Crayon Khol Brun. Thank you so much, Lancome Indonesia! 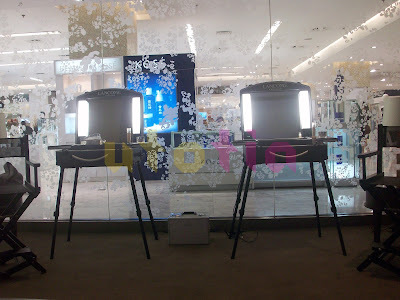 After a while, both of the bloggers' makeup was done, and it's time for winner announcement! The juries were Mbak Putri from Lancome Indonesia. Congratulations to Marsha! The look is really nice, though. So, the jury said that they would choose the look that still emphasizing on the dolly look though it's in Halloween theme. After that, we all took a photo session together and it's pictures time!